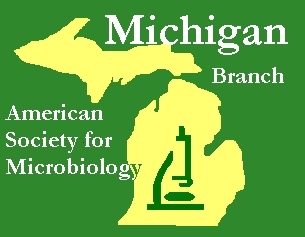 The Michigan Branch of the American Society for Microbiology (MIASM) is the only organization that represents all the microbiologists in the state. Our membership draws clinical, academic, and industry scientists. Our general meetings convene each Fall and Spring (detailed on our website www.mi-asm.org) and rotate among locations in the lower peninsula, with an attendance of about 130. Our newsletter is published several times a year with a distribution of about 650. Corporate Partner annual contribution: $100 (includes one registration/lunch at each general meeting). MIASM is a non-profit publicly supported professional organization described in Section 501(c)(3); the Branch's Taypayer Identification Number is 23-7161291. Contributions may be sent to MIASM's Chair of Corporate Relations. Corporate Partners may exhibit at meetings ($100/event) and advertise in the newsletter ($100/halfpage). We are especially grateful for Corporate Partners who sponsor (c.$500) continental breakfasts at general meetings or provide other special assistance. General support contributions may be assigned as specific student gifts (e.g., awards for competitive scientific presentations, travel to the annual General ASM Meeting) and Corporate Partner recognition is showcased at the meeting. In particular, MIASM has focused on strengthening development of undergraduates and graduate students pursuing microbiology and related disciplines.